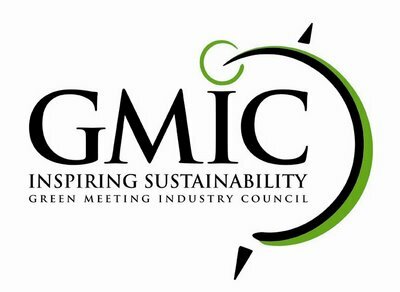 When the Green Meeting Industry Council (GMIC) held their 3-day Sustainable Meeting Conference last year, they wanted to do something different with their 260 attendees. Their goals were simple; GMIC wanted better engagement of attendees and a way to bring home the mission of sustainability. GMIC's Conference Chair Elizabeth Henderson, Sustainability Strategist at Meeting Change, felt the gaming approach would help attendees better understand the new APEX Environmentally Sustainable Meeting Standards if they created hypothetical events that presented sustainablilty challenges for teams to work through. Henderson drew from the research of Byron Reeves and J. Leighton Read's book, Total Engagement: Using Games to Change the Way People Work and Businesses Compete. Reeves and Read state in their book, "There is no better way to get people engaged than to provide them with fun ways to do serious work." For example, one case study focused on how a 5,000 person event could reduce its carbon footprint, while another determined ways to green a large internal, employee meeting. The iPad had resources on it to guide teams where the information was located, however attendees still needed to participate in education sessions in order to gain total insight to their case study. Building bicycles for a local children's charitable organization. A leaderboard was ever present at the conference, allowing attendees to see where their team was ranked in each of the above areas creating a competitive atmosphere and some ribbing among attendees. Two prizes were given, one to the team with the highest score on the case study and the other to the team with the most overall points. The net results of adding gaming to the conference? They were able to provide more concise presentations to attendees, allow for better group discussions, and provide networking time, which resulted in positive feedback. What is the future of gaming? Gartner, Inc. predicts that 50% of organizations will apply game dynamics and technology to business, training, and education meetings by 2015. Conference equipment rental company, AV Event Solutions, can help you gamify your next meeting or event! Rent iPads as a way for attendees to feel totally engaged in the meeting! AVES can deliver an express quote for iPads to you within 4 business hours or less! Game on!